My tropical frame was created by using the widest succulent stamp. 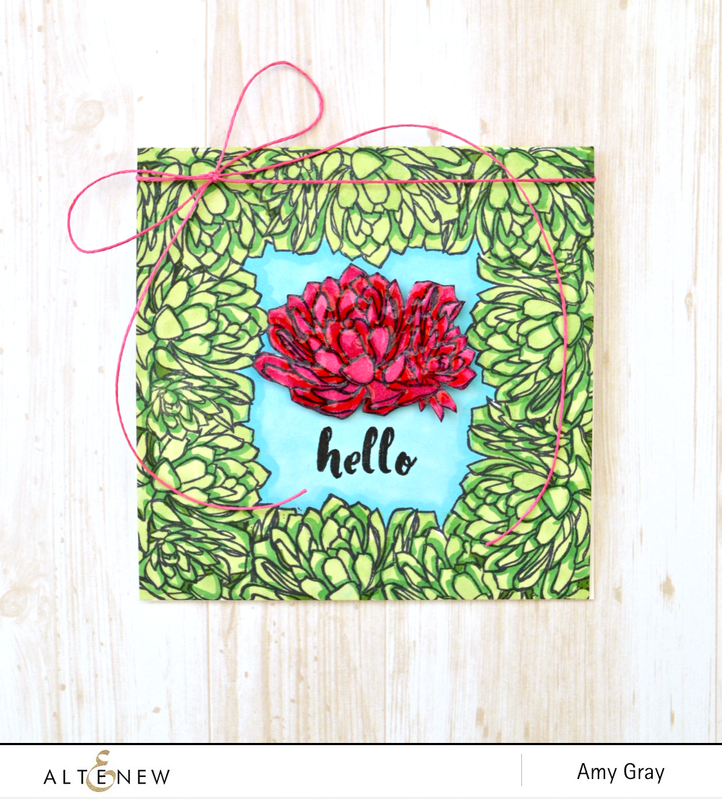 I simply stamped it onto a Post-it note, cut it out to create a mask and then stamped the succulent around the edge of the card front, placing the mask on the previously stamped succulent to mask it. You’ll need an additional mask for the final succulent as it will overlap two previously stamped ones. Hope that makes sense! The whole card front was coloured using my Copics and I opted for a more graphic style to my colouring by choosing not to blend the green tones. For my focal point, I then turned the succulent into a pink bloom and covered it in Glossy Accents for extra dimension. I couldn’t resist using a sentiment from the Painted Greetings stamp set. That on-trend font just pairs perfectly with the graphic nature of the succulent stamp. 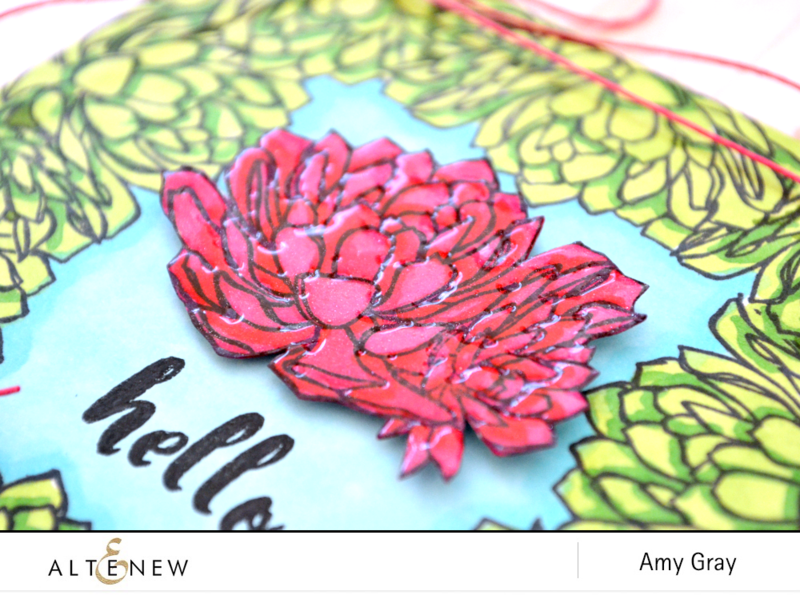 It’s a sentiment stamp set that has quickly become one of my go-to sets. I love it! For a final finishing touch, I added another splash of pink in the form of a twine bow wrapped around the top of card front. Easy peasy! The longest part of this card was waiting for the Glossy Accents to dry (patience is not my strong point ;) ). Otherwise this was a pretty quick card to make! Wow, this card looks like a lot of work! But well worth the effort as it’s beautiful! Beautiful! I love the glossy look! Gorgeous, and I love the graphic look coloring! Absolutely stunning! Love the graphic look your coloring created! I can’t decide which card I like best. Both are striking and wonderful. The moon card is super lovely. I would love to Copy it.